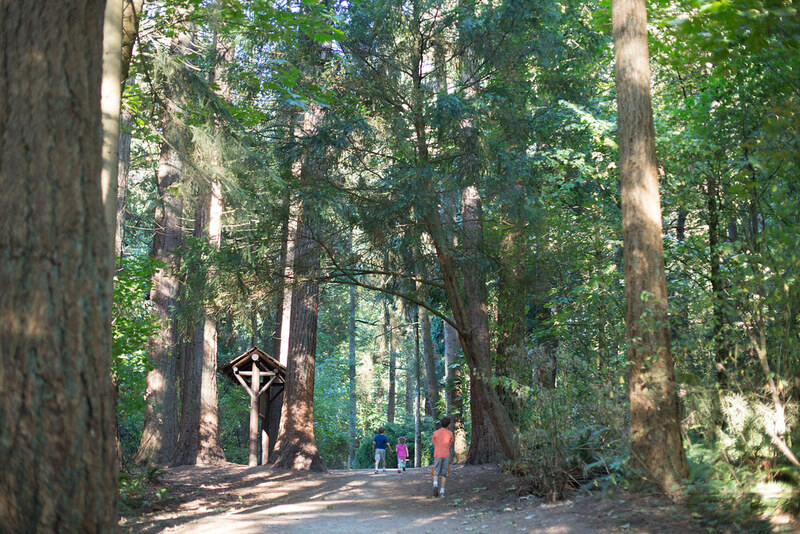 Talk Nerdy To Me: Redwood Park | Surrey, B.C. 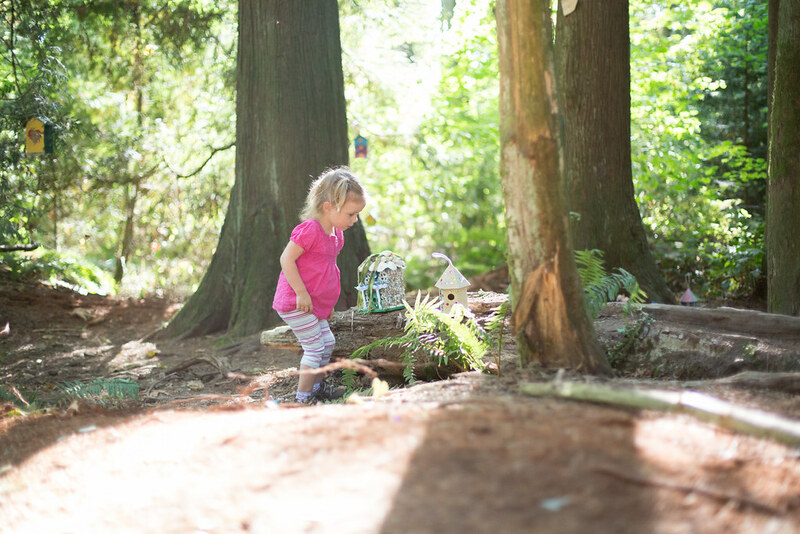 Redwood Park | Surrey, B.C. 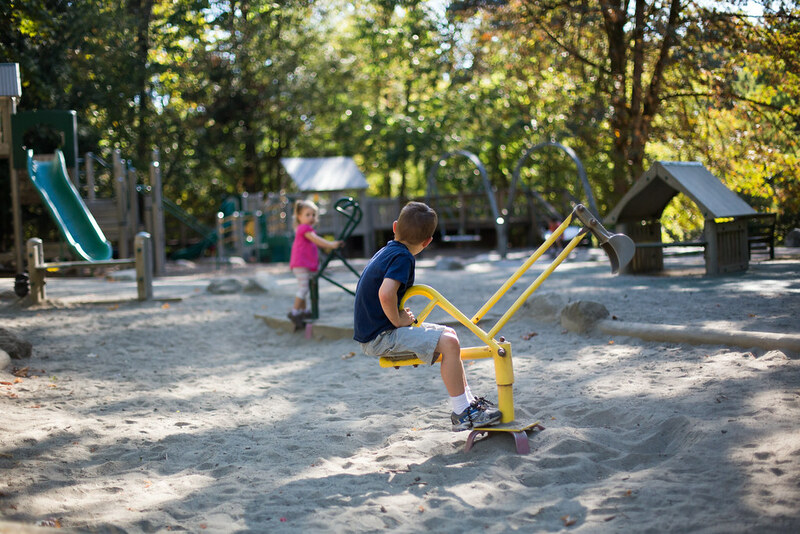 If you're looking for a gorgeous park to visit in Surrey--this is definitely a good one! 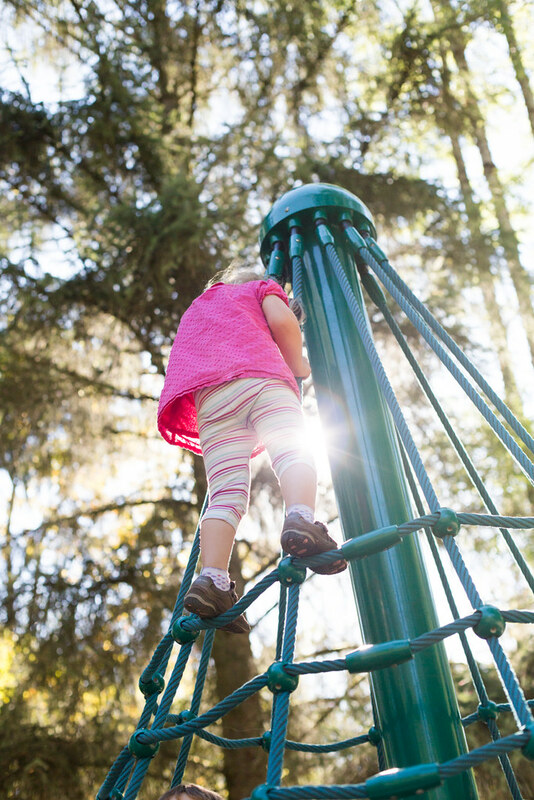 Located just west of 184th on 20th in South Surrey, Redwood Park has a great playground for a variety of ages and beautiful trails to walk through. 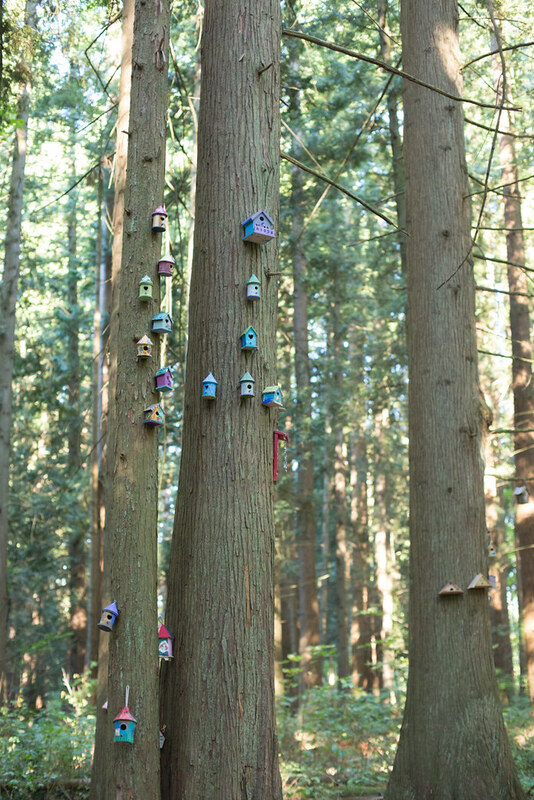 There are also fairy doors and hundreds of little fairy houses. It's very picturesque and also has covered picnic tables which makes it great for parties and groups. 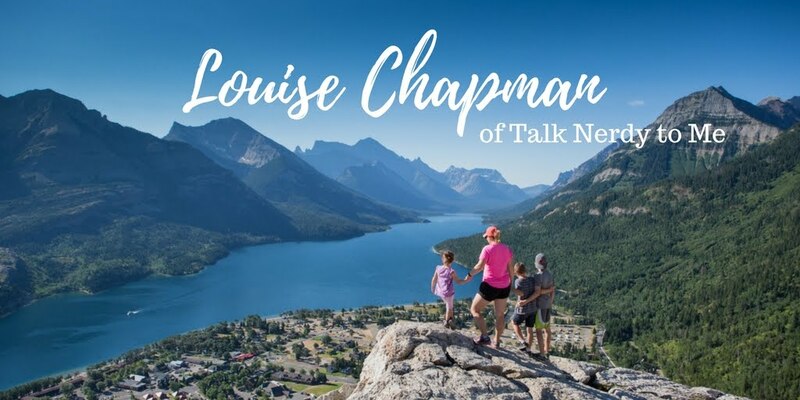 We like to go here about once a month and each season boasts it's own beauty; you should definitely see it with all the autumn leaves! 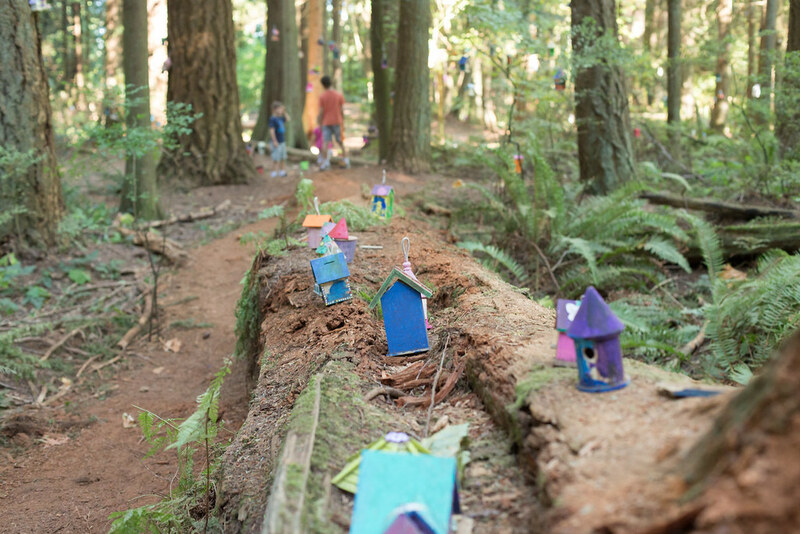 If you want to find the fairy village, just follow the path from the parking lot to the giant tree house; it's a five minute walk. 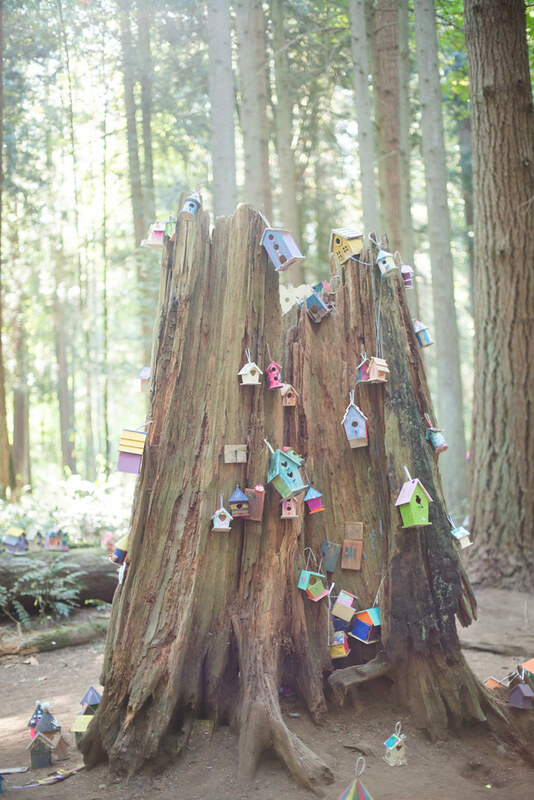 From there, continue to the right behind the tree house to find all the houses and fairy doors. As you loop back towards the parking lot, there are bathrooms (flush toilets and a change table!) 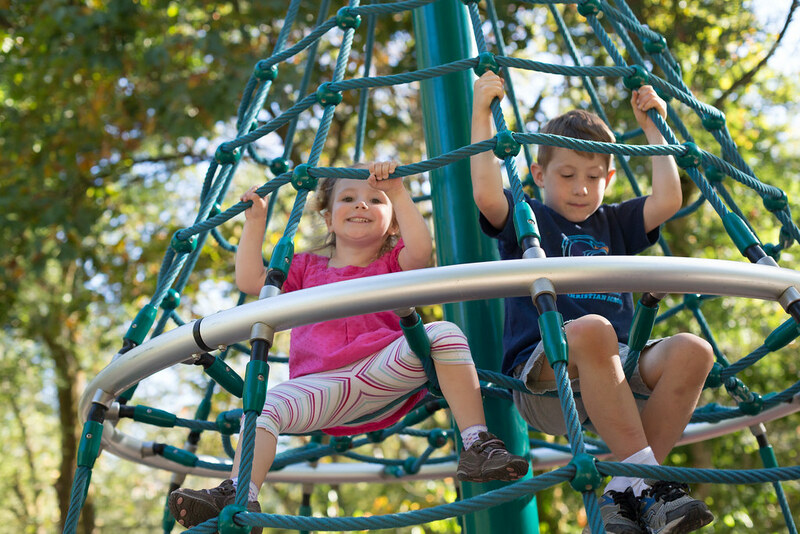 and a great playground--watch out, the slide is a fast one! 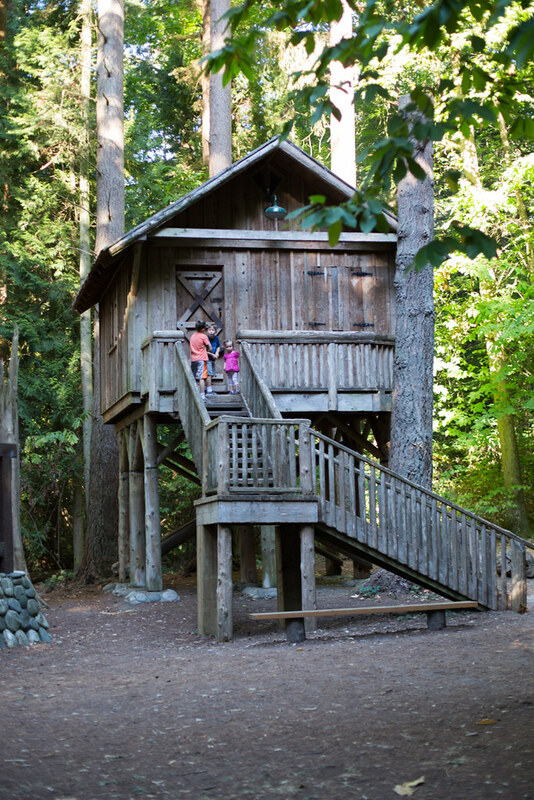 There is also story time in the tree house, just check the schedule here. Happy exploring, friends! I absolutely love Redwood Park! We love redwood! we did some family photo's there 2 years ago, and we have a big family picnic coming up there next week. what a great park! I loved your photos from there! Yay for family picnics! I am going to put this on a list of places we still want to visit. 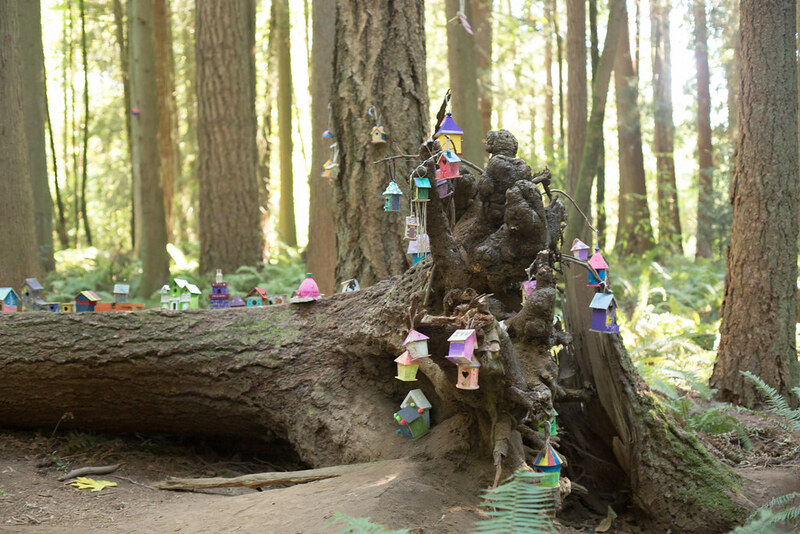 Would you say this place is more about the fairy houses and playground than it is about walking? Equal? I don't know the trails well, from what I have done, it's about half an hour of walking if you do the longer trails . 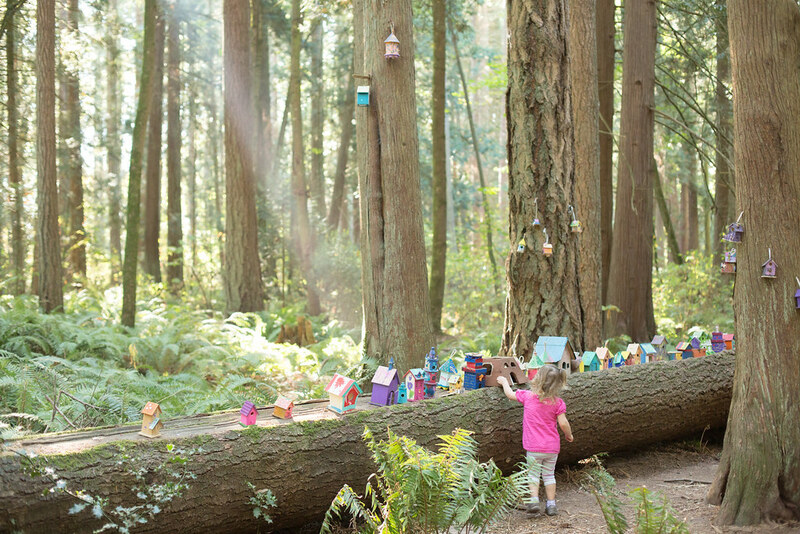 This was our first time doing the Fairy Kingdom part so usually we go for walks and hit up the playground at the end.